One of the biggest challenges about this time of year, at least to me, is to either eat or preserve all of the fresh produce that comes my way before it goes bad. It seems to me like the utmost example of taking what you have for granted to let food — especially fresh, homegrown, delicious food — go bad. Practically speaking, this does mean freezing, drying, or canning a lot of it to eat over the coming winter. But it also means a lot of meals made with just-picked ingredients. Over the last few days I’ve finally managed to cook my way through all of the zucchini from my friends’ gardens (although I may end up with more in the next little while, not that I’m complaining). 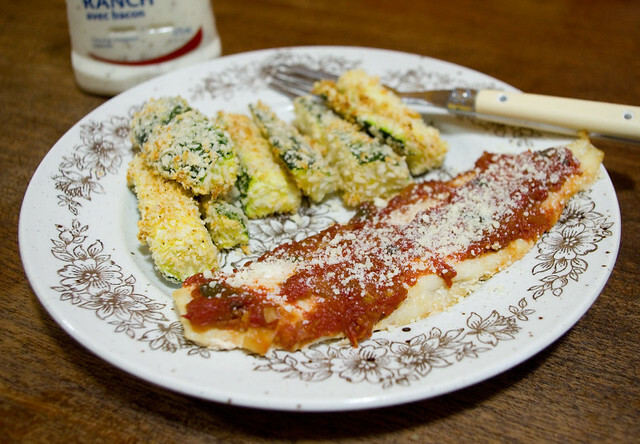 Last night for dinner we dug into another loaf of Harvest Garden Bread (which contains zucchini), Baked Panko Zucchini Sticks, and haddock baked under a generous coating of Blender Salsa (page 92 of Preserving by the Pint: Quick Seasonal Canning for Small Spaces (Marisa McClellan, 2014)), which was made almost entirely from produce grown in my garden. Then it was Double Chocolate Zucchini Muffins for dessert. I had never tried this recipe before, but it was highly recommended to me by a friend, and now I realize why. These muffins are moist, dark, rich, and chocolatey. They also aren’t as unhealthy as other muffins with similar flavour. I mean, it would be a stretch to actually call them health, what with the chocolate chips and the oil in there, but there is more zucchini in the recipe by volume than flour, and that has to count for something, right? 10/10, will definitely bake this one again. Posted on October 4, 2017 October 3, 2017 by owntwohandsblogPosted in CookingTagged baking, chocolate, dinner, garden, homegrown, produce, supper. 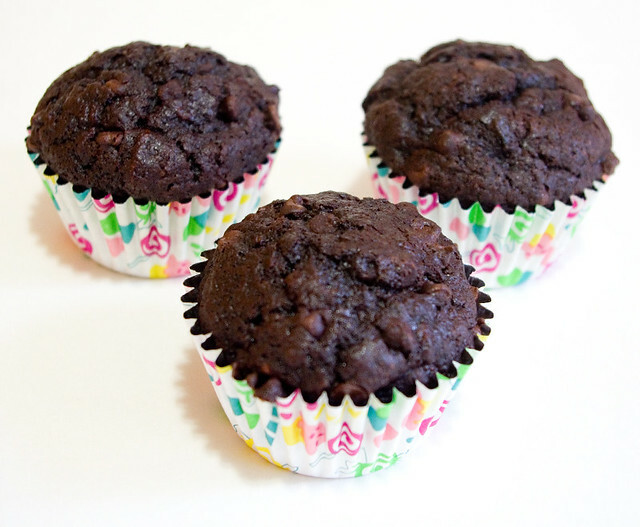 DOUBLE CHOCOLATE ZUCCHINI MUFFINS!!! Should be Delicious! Did you add such a big amount of Cocoa Powder?Thank you! Yes, I added all of the cocoa powder. And it worked out quite deliciously!